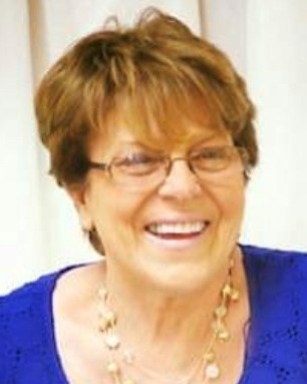 Adelia C. (Capela) Guedes, 70, passed away on Saturday March 16, 2019. She was the wife of Jose A. Guedes, her husband of 49 years. Adelia was the daughter of the late Manuel and Clara (Dias) Capela. Adelia is survived in addition to her beloved husband, her children, Rui Paulo Guedes of Bristol, Ana Paula Salmon (husband Bernard) of Sarasota Florida, and Tanya Lee Gustafson (husband Sean) of Bristol. Adelia also leaves behind her adoring granddaughter Clara Salmon. In addition to her immediate family she will also be missed by her siblings Maria de Fatima Rebello, of Faial, Azores, Fernanda Pisco of Lisbon, Portugal, Fernando Capela of Faial, Azores, Carlos Capela of Faial, Azores and twenty five nieces and nephews. Adelia loved all things green. People knew her by her infectious smile that could light up a room. Funeral services from the Sansone Funeral Home, 192 Wood Street Bristol on Saturday, March 23, 2019 at 10:00 AM with a Mass of Christian Burial at 11:00 AM in St. Elizabeth’s Church, 577 Wood Street, Bristol. Burial will follow in North Burial Ground, Hope Street, Bristol. Visiting hours will be Friday, March 22, 2019 from 4:00 – 7:00 PM. In Lieu of Flowers, memorial contributions may be made to Dana-Farber Cancer Institute, 450 Brookline Avenue, Boston, MA 02215.